MEREDITH — Former state Sen. Jeanie Forrester, whose testimony to the Attorney General’s Office during its investigation into allegations against Sen. Andy Sanborn was released under a Right-To-Know request, says it was never about politics. Transcripts from the investigation show that Forrester was so concerned about Sanborn’s behavior that she intervened on behalf of a staff member. Forrester and Sanborn shared a female staff member who expressed concerns to Forrester about some comments Sanborn made that were sexual in nature to which the staffer took offense. Forrester said she brought those concerns to Senate President Chuck Morse. Sanborn did not respond to two phone calls and an email seeking comment. Forrester said the #MeToo movement has highlighted that employees who are subjected to those kinds of comments are put in an uncomfortable position because they don’t want to lose their jobs. 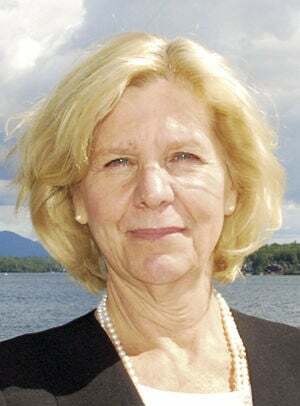 Forrester said people should not think her endorsement of Sanborn’s opponent, Eddie Edwards, for New Hampshire’s First Congressional District seat is evidence of a political agenda. “Whether I supported Eddie or anyone else, it’s not about not supporting [Sanborn’s] candidacy, because I don’t think that’s the type of person, with his behavior, it’s not somebody I’d want representing me,” she said.